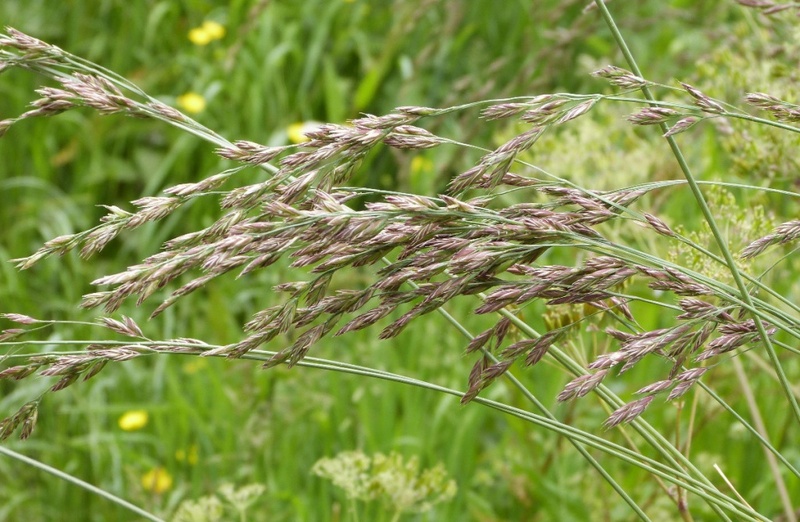 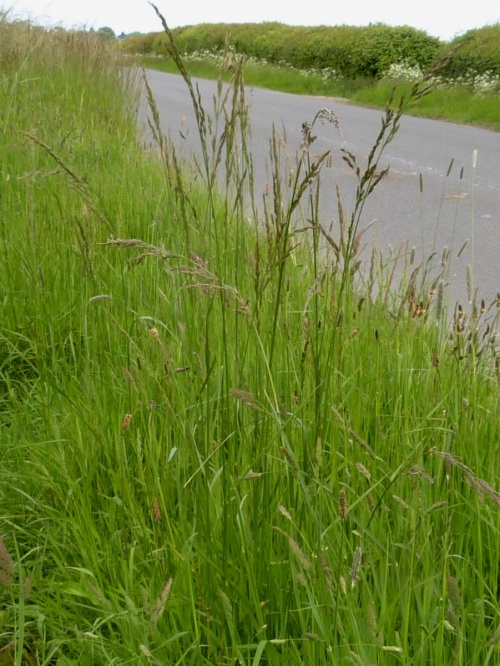 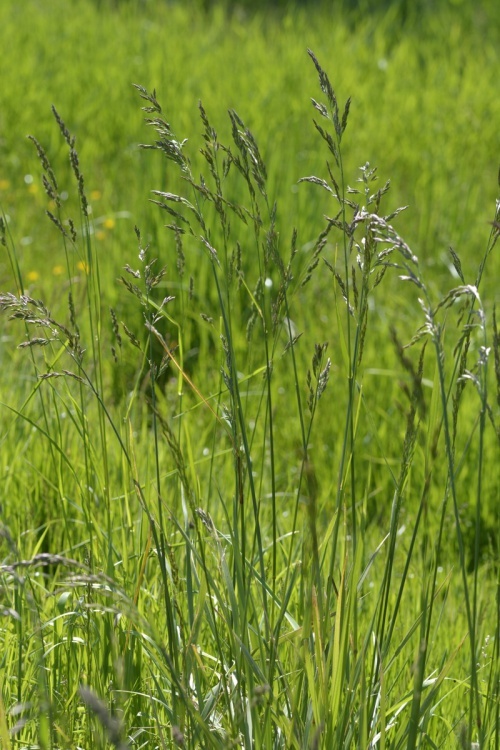 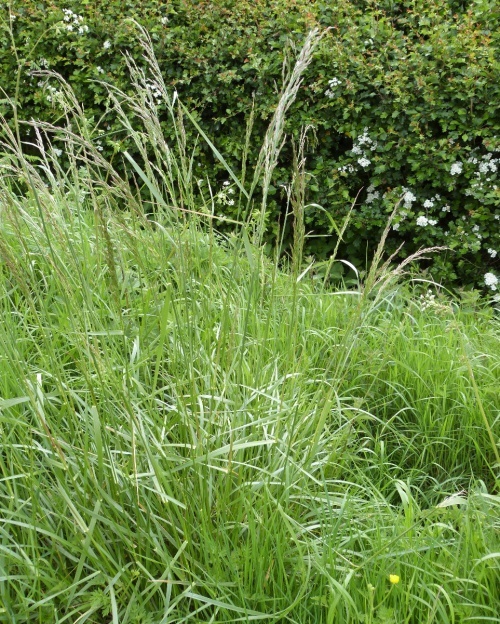 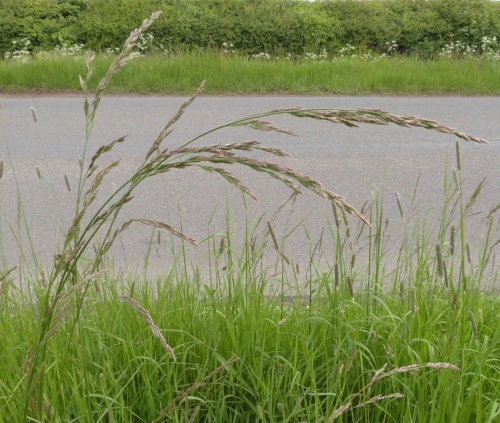 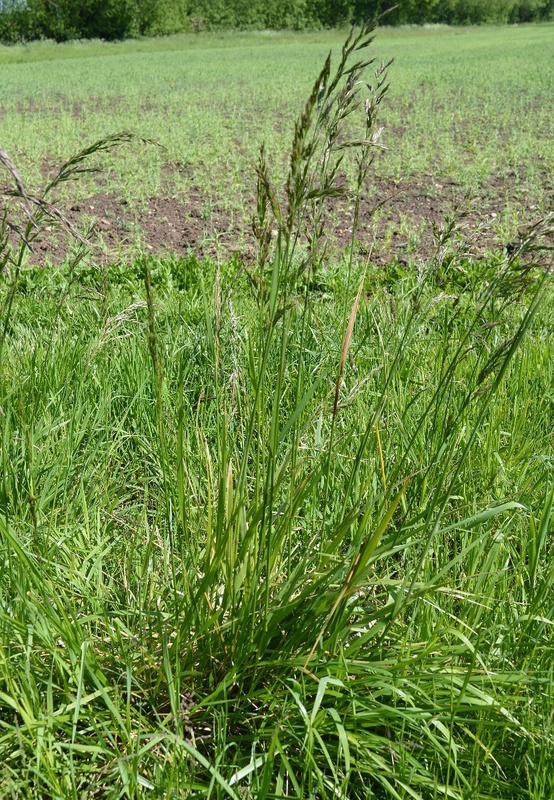 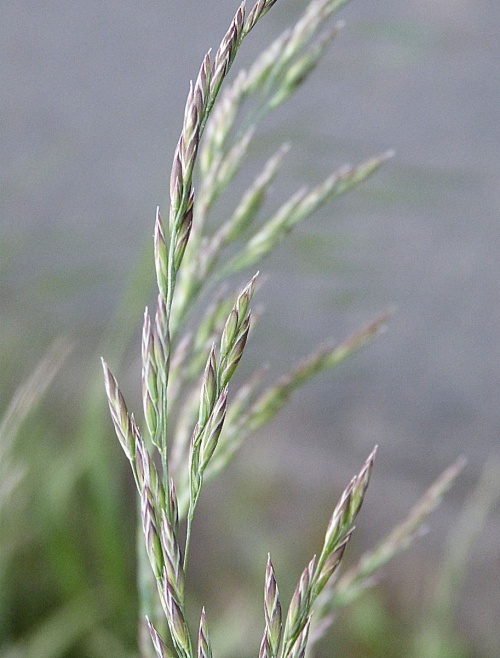 A tall (60 to 200 cm) grass. 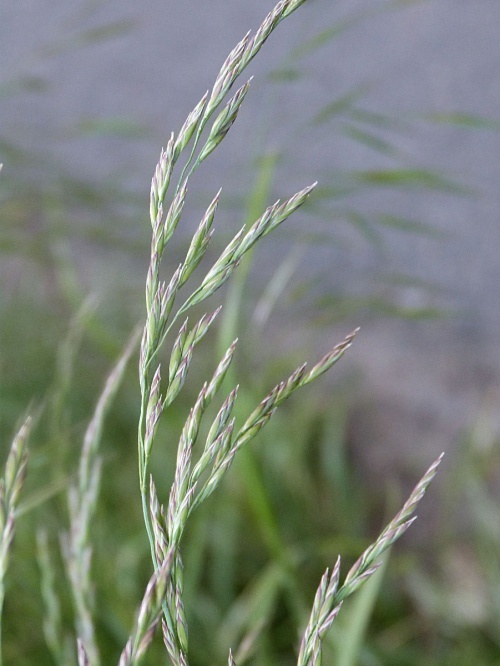 It is erect, hairless, stout stemmed and densely tufted. 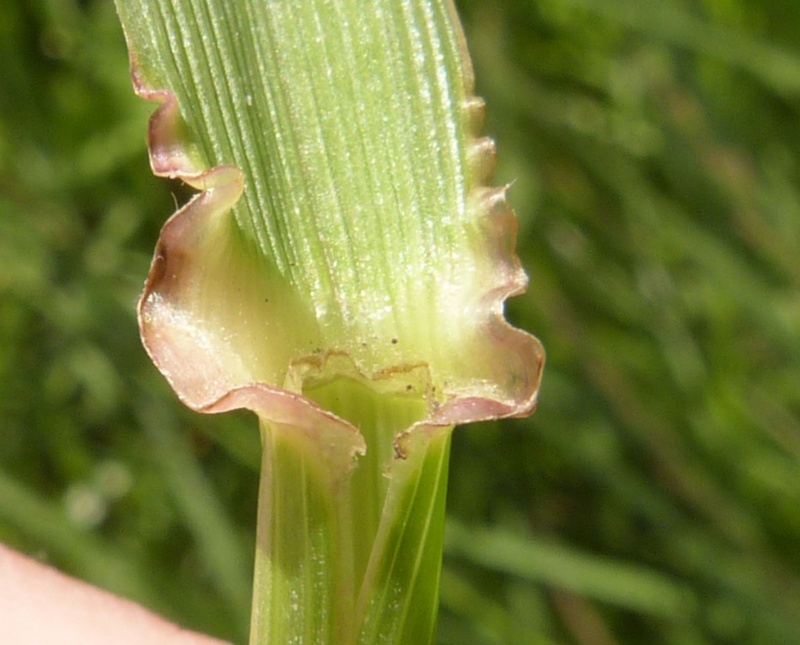 The leaves are stiff, broad (to 10 mm) with rough edges. 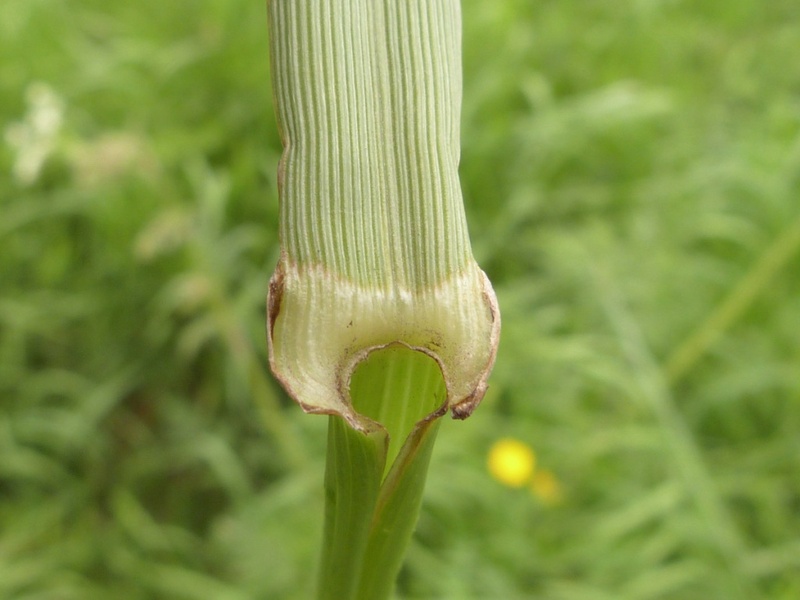 The stem base is clothed with tough, whitish sheaths. The auricles are large and hairy at first, though the hairs soon wear away. 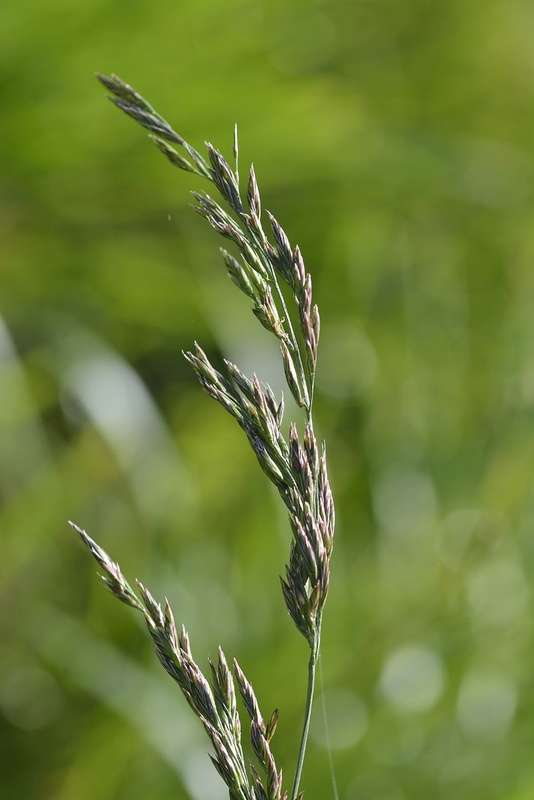 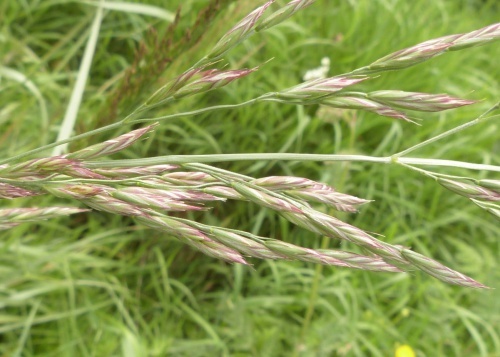 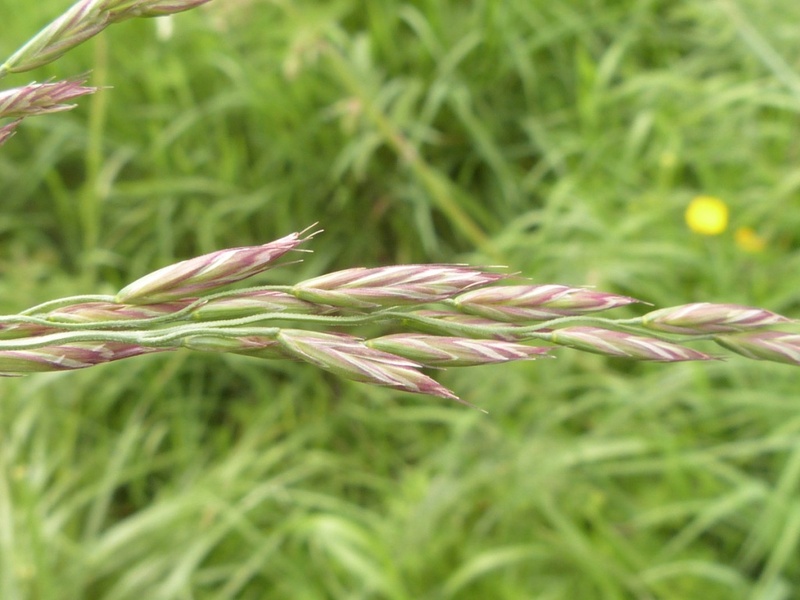 It often has 4 or more spikelets per branch. 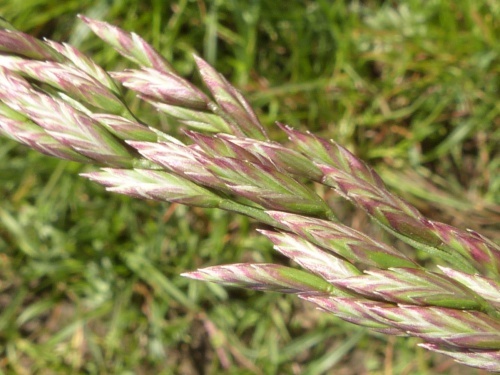 Lemmas are strongly veined, with sharp pointed or shortly awned tips. Banks of rivers and streams, damp meadows, damp or shaded roadside verges. 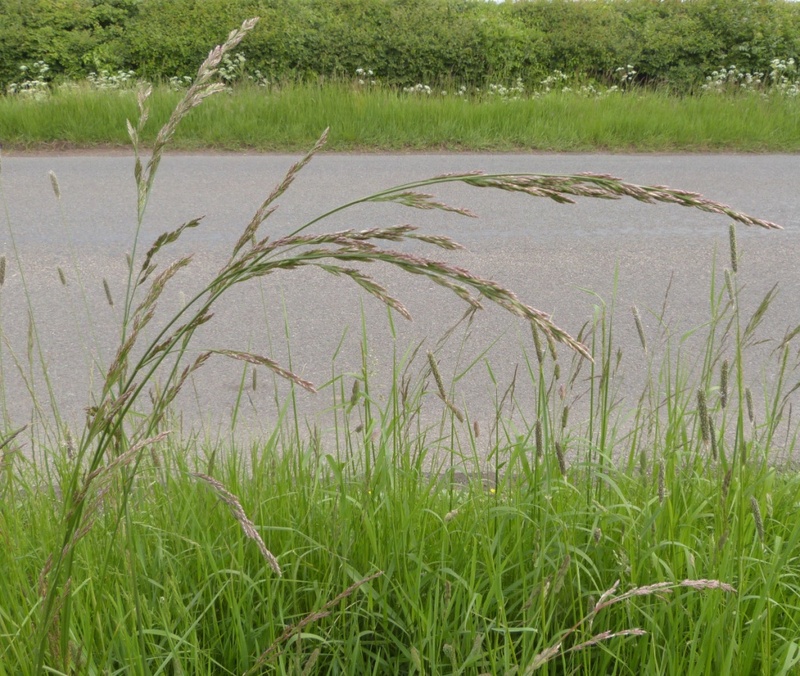 Fairly frequent though sometimes local in Leicestershire and Rutland. In the 1979 Flora survey of Leicestershire it was found in 272 of the 617 tetrads.